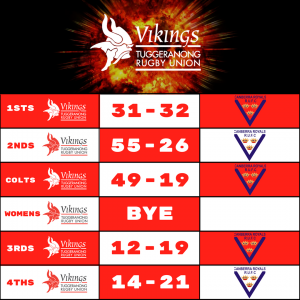 The Vikings played their first match of the 2018 John I Dent Cup over the weekend, taking on old foe Royals. The Vikings had a tremendous preseason and were looking to set the benchmark early for the rest of the competition. The Vikings also celebrated their annual Sponsor’s Day, which recognizes the invaluable contribution all of our partners have to the success of our program. We would like to thank all the sponsors for their continued support and for joining us for a day at the rugby. 4th Grade kicked off the day at 10:55am, featuring a mix of young, old and new players to the club. The backrow of Lee Boswell, Sven Baker and Pete Conroy was dynamic and tireless, giving the Vikings good front foot ball. Vikings 4th Grade would eventually fall to a strong Royals outfit, 14 – 21. On paper the 3rd Grade team list could have easily been mistaken for a Premier Division side, featuring the likes of Blake Henman and club stalwart Colin Montgomery. Again, it was the backrow who played an immense role for the Vikings 3rd Grade side – Andrew Tailaina and Dan Uilelea combined on the flanks to bring some extra grunt to the forward pack. Bryce Taotua helped steer the backline with a few slick touches of his own. The Vikings eventually went down to a just as impressive Royals side, 12-19. A lot of momentum has been building for the Vikings Colts in the preseason, and it didn’t take long for our future stars to show why they will be a force to be reckoned with in 2018. The Colts showed some good aggression and pace early in the piece, but were hampered in the first half by a few errors and a devastating injury to Captain Luke Corcoran, who was taken from the field after breaking his jaw while scoring a try. We wish Luke a speedy recovery. As they have all preseason, the Colts turned it on in the 2nd half, playing some good entertaining footy that saw the ball spread to both wingers early. Turi Hides had an outstanding game out on the wing, as did Angus Burns who was immense for the Vikings in the front row. The Colts took a promising win, 49-19. The Dirty Twos featured an electric side, one that the 1st Grade coaching staff would have kept a close eye on, as competition for spots was tight heading out of the preseason. Regrettably, Damien Gubler was announced Captain – but to his credit, he steered the side to an impressive win. With their first touch of the ball, 2nd Grade ran 90m down field to score an excellent try that would set the benchmark for their attack for 70 minutes. Junior Sotogi made light work of his counter parts in the forwards, while Trai Henderson proved a man amongst boys in a destructive performance from inside centre. While an impressive display with ball in hand, 2nd Grade will place a strong emphasis on defence heading into Round 2, letting in a few late tries to put the final score at 55-26. A special mention must go the way of young prop ‘Professor’ Ben Pratt, who played a full game of Colts and 60 minutes in 2nd Grade. The 1st Grade side were primed and ready for a physical encounter with a strong Royals side, who were looking to reclaim the Allan ‘Wal’ Scollen Cup. The Wal Scollen Cup is played annually between these two sides, and honors the memory of Wal, who was a beloved friend of both clubs. 1st Grade got on the board early with 2 well earned tries, applying plenty of pressure to the Royals defence in their 22. Michael Oakman-Hunt was outstanding, providing good go-forward in attack and rock solid defence. 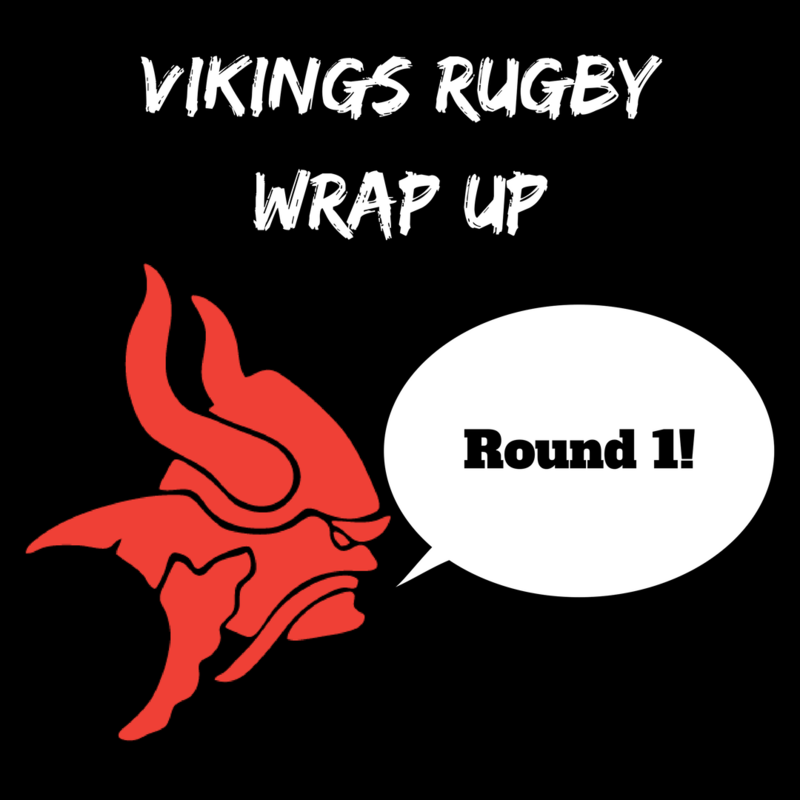 The Vikings began to lose their grasp towards the end of the first half and the start of the second, giving Royals the lead and forcing a tough comeback heading into the final quarter of the match. Some fresh reserves and some slick hands kept the Vikings in the fight, but the Vikings would fall agonizingly short of a comeback, 31-32. A special mention to Len Ikitau, our Aussie U20s representative, who bagged himself a hat-trick of tries. Congratulations to Royals on reclaiming the Wal Scollen Cup, and thanks again to all of our Sponsor’s who came out in force to our annual Sponsor’s Day. We hope to see you this Saturday the 14th of April out at Nicholls Oval, when we take on the Gungahlin Eagles.